War Memorial Park is located at 800 Blackburn Road in the village of Sewickley, PA 15143, just past the YMCA. 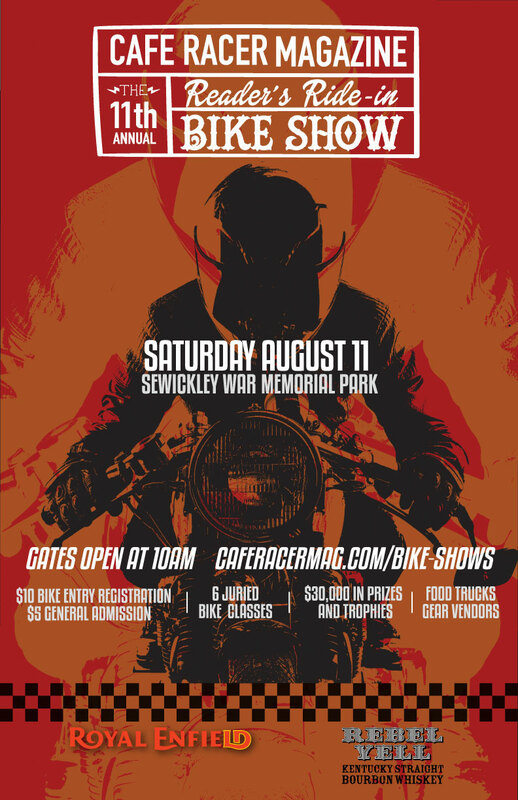 Sewickley is a very quaint, walkable town, so bring the family! There’s a terrific playground for the kiddos right in the park. If you’re the only bike lover in the family the main business district in Sewickley is just a 10-minute walk away, and has plenty to keep your whole family entertained while you get your fill of custom bikes. Please note that the nearest campground is more than 20 miles from our location. Pizza, Pasta and Bar Food with a Full Bar – Smoking permitted at the bar! Note: A Burger King and an Eat n Park diner are located within 2 miles’ driving distance.